Most mainstream Hollywood action films are spineless. Modern audiences have forgotten the feeling of a real adrenaline rush thanks to the watered down efforts of the ‘Fast and the Furious’ franchise, as an example of one of the main offenders. Writer/director Gareth Evans single handily atones for the crimes of every lame action film pumped out of the studio system with ‘The Raid’, and crafts one of the greatest martial arts films of all time. In the slums of Jakarta, Indonesia, a SWAT team is tasked with taking down a crime lord that is living in an apartment building that doubles as a safe house for the country’s worst criminals. ‘The Raid’ is intense and violent and there is a ballet of bullets and blood throughout the whole film. As the SWAT team takes on the different levels of the apartment block and the thugs who reside there, it feels like an extreme real life version of the videogame ‘Donkey Kong’ – just replace barrels with machetes. The fight scenes are amazing and the athletic feats of the actors and stuntmen is worthy of an Olympic Gold Medal. Evans pieces it all together beautifully and he grinds the camera in and out of the action and throws you right into the heat of the moment. The battles are chaotic and there are a few slower moments where Evans mounts the tension to balding point (that moment when you’ve pulled out all your remaining hair). Like a few of the characters arteries in the film, Evans is exploding with talent and it’s going to be a wild ride seeing where his career goes. ‘The Raid’ isn’t just reliant on its action because the story is well layered well and there are plenty of surprises. There is a rage of raw emotion throughout the film that enables you to care about the hero and have nothing but venom for the bad guys. The performances are outstanding on a physical and emotional level from a cast of almost total unknowns. Iko Uwais an amazing lead arse-kicker and the hero of the film, while Ray Sahetapy is the perfect crime lord villain. A special mention must go to Yayan Ruhian who plays the hit-man ‘Mad Dog’ and walks into the history books as one of the best high flying head butting psychopaths in a film. The soundtrack melds with the pandemonium on screen to enhance the experience further and apparently the soundtrack differs in the US release. The soundtrack featured in the Australia release was terrific and pings along with every tense moment. ‘The Raid’ is a very violent film and if you don’t like the sight of blood and gore you might want to give it a miss. To make up for missing this film you might want to do a good need like feeding the homeless, or even giving blood to the Red Cross, it’s the only way to right the wrong. ‘The Raid’ is a must see film and reinvigorates the tired action genre that often takes its fans for granted. ‘The Raid’ or ‘The Raid: Redemption’ is now showing. One of the best full-packed, jaw-dropping action film. Period. It’s a FRICKIN’ AWESOMEE !! 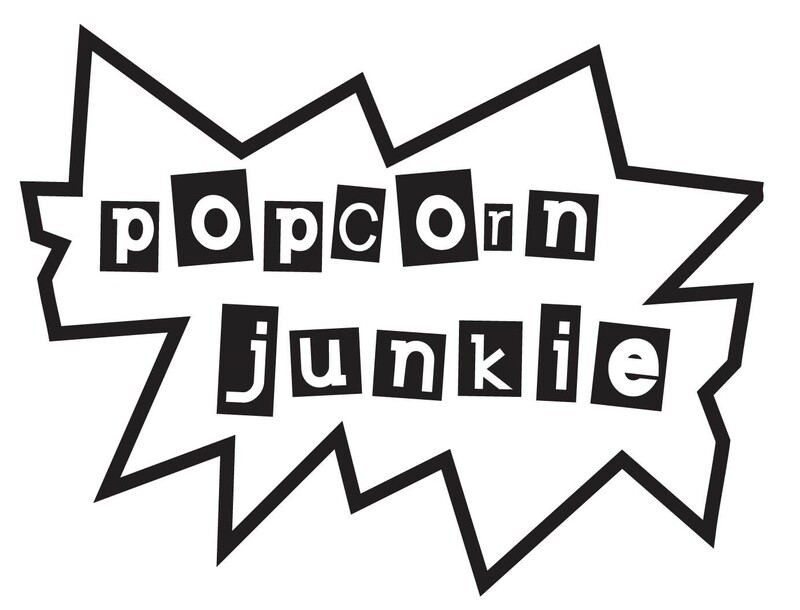 I have seen this film few days ago, and really2 love it. 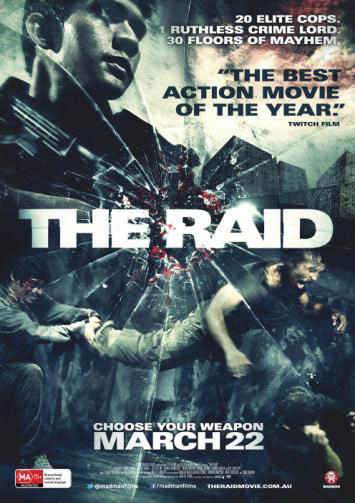 I’ve seen it with it’s original title “The Raid” since I’ve watch it in Jakarta. FYI, the actors in this movie did their own stunt, so what you see is a full on body contact, no camera trick and minimal CG. The martial art portrayed in The Raid is a traditional martial art called Pencak Silat. Every punch, kicks or any body movement is designed to create maximum injury. At some advanced silat techniques you can even manipulate your body and mind to block any pain. Awesome! A great review of ‘The Raid’, reading it makes me want to go back and watch it again!